Mesut Ozil has no plans to leave Arsenal and expects to stay at least until his contract expires in 2021, despite rumours suggesting he could depart this month, according to the German's agent Dr. Erkut Sogut. The former Germany international is enduring a difficult season with the Gunners, having been in and out of Unai Emery's team since the coach arrived from Paris Saint-Germain. He was left out of the EFL Cup quarter-final defeat to Tottenham on December 19, before returning to the team in the Premier League for meetings with Burnley and Brighton and Hove Albion, getting injured against the latter. Ozil's erratic performances have frustrated supporters this term, while some pundits have suggested his style of play simply does not fit into Emery's ideal setup, with the coach preferring his playmakers to be both dynamic and hard-working. As such, media speculation has linked the 30-year-old with a move away from Arsenal, but his agent insists Ozil is focused on staying with the club, having only signed a new three-and-a-half-year deal last January. "I would prefer not to speak publicly about Mesut's situation, but given the recent speculation linking him with a move away from Arsenal, I do feel it is important to provide some clarity so we can end this and focus on football," Sogut told Goal. "Mesut signed a new contract last January because he saw his future at Arsenal and nothing has changed in his mind. He wants to stay for the duration of that contract, and maybe even longer. "Mesut is 100 per cent committed to Arsenal. He loves the club, shares its values and does not want to be anywhere else. "He is proud to wear the shirt and honoured to represent Arsenal on and off the pitch. He takes his responsibilities - including being selected as one of the captains this season - very seriously and has a great relationship with his team-mates, the staff and fans. 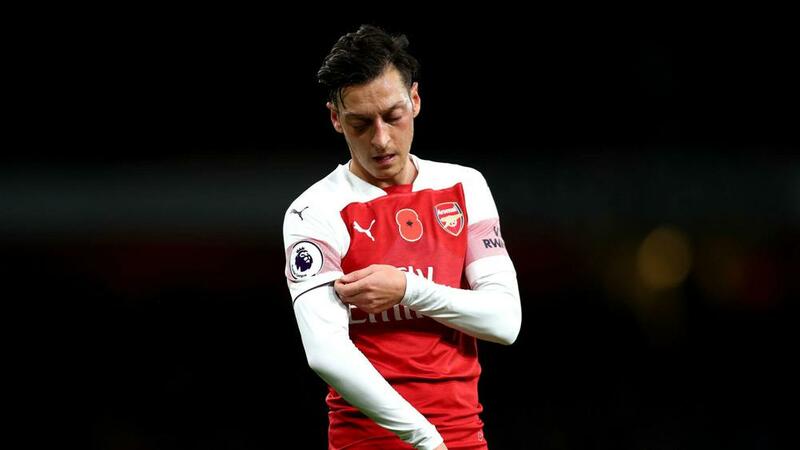 "In the last year, there has been enormous upheaval for everybody at the club and the first half of this season has not been perfect for Mesut. "He has suffered from injuries and illness and is working hard to adapt to the different system employed by head coach Unai Emery. This may take time, but Mesut will give everything he has to help make it work and bring success to Arsenal. "Mesut joined Arsenal in 2013 and has therefore been a part of the club for longer than most of the current playing squad and even many members of staff. Over those five-and-a-half years, he has shown total commitment and professionalism. "He has not spent long periods injured and maintained a high level of performance, as the statistics show. Despite what some may say, he understands the fabric and expectations of the club better than most. "Unless you are on the inside and privy to what happens on a daily basis, it is best not to speculate. In every journey there are highs and lows, but it is important to consider the bigger picture rather than simply making knee-jerk judgements without proper context. "The speculation around Mesut's future has not come from him or us [the player's management] and is unfortunate because the situation is clear: his future is with Arsenal, end of story."